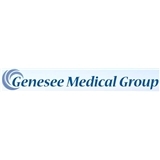 Genesee Medical Group (San Diego) - Book Appointment Online! New Patients: we ask that you come to your APPOINTMENT 30 MINUTES early for registration AND PLEASE BRING INSURANCE CARD AND ANY COPAY'S DUE AT THE TIME OF VISIT. About Genesee Medical Group We've proudly served the healthcare needs of San Diego for over 20 years. At our practice, we are committed to offering healthcare in an accessible, affordable, and comfortable environment. As a multi-specialty group, we offer a full range of services for your entire family. Family Medicine, Internal Medicine, and Cardiology are all offered in one convenient location. Philosophy of Care Our physicians and staff are committed to your care. Prevention, education, and open communication are vital in making us successful partners in achieving your good health. I was happy with the appointment. Provider was friendly, seemed knowledgeable. No complaints.